When planning a short weekend trip, it can be tough to know how you’ll pack it all in, but these five must sees in New York are a good blueprint to follow. 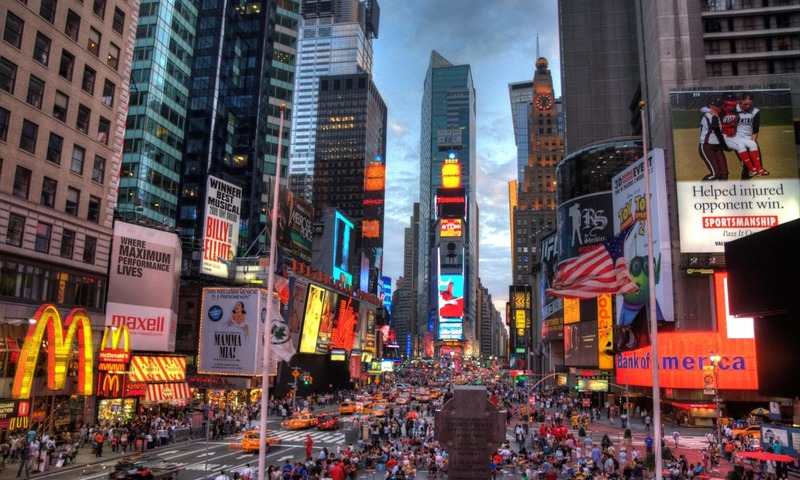 No place on the planet is more dynamic and dense with sights than the “city that never sleeps.” When planning a short weekend trip, it can be tough to know how you’ll pack it all in, but these five must-sees in New York are a good blueprint to follow, especially if this is your first visit. 48 hours in New York might not feel like enough, but considering the fast-paced energy of the city, it’s plenty of time to get a good sense of the Big Apple. Taking the ferry out to Ellis Island and the Statue of Liberty is an essential experience for any first-time visitor to New York. 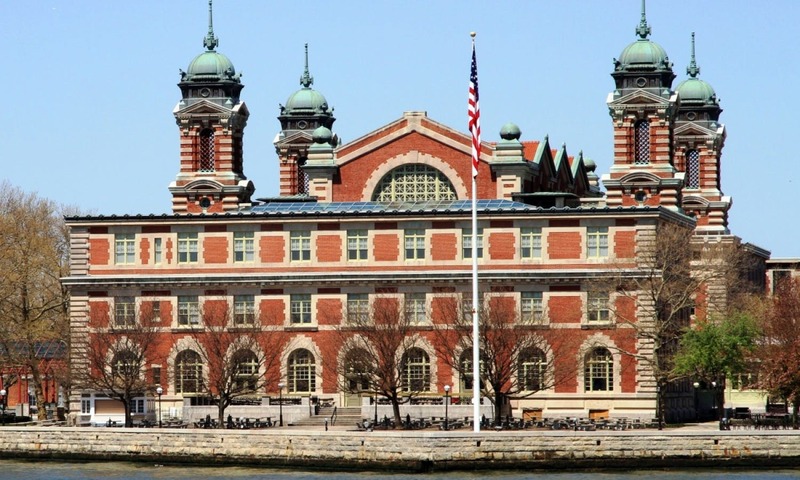 As the first sights and stops of ship-bound immigrants crossing the ocean to begin anew in America, both are unequivocally powerful symbols of the ‘American Dream.’ From the late 19th century until 1954, Ellis Island was New York’s main immigration station, processing an average of 12,000 people daily. New arrivals underwent medical examinations and were often assigned Americanized names; the sheer size of the original ‘registry room’ gives you a sense of how frenetic the day-to-day operations must have been. Through its intimate, interactive galleries, the immigration museum sheds light on the nitty-gritty details of what immigrants endured for the chance to rebuild their lives in a promising new city. On the same ferry, you can head over to Liberty Island to get a glimpse of Lady Liberty herself. The massive Neoclassical structure was a gift to the United States from France to immortalize the countries’ friendship and shared commitments to liberty. The Statue of Liberty was the first view of America for anyone who arrived by ship, whether a wealthy tourist or a wide-eyed immigrant. 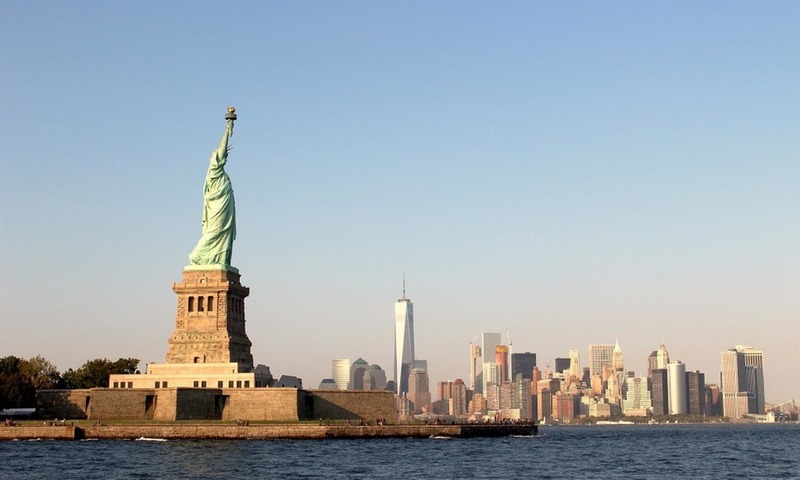 Visit the Statue of Liberty museum to learn more about how she welcomed newcomers, or ascend the statue’s crown to get a bird’s eye view from the other side. 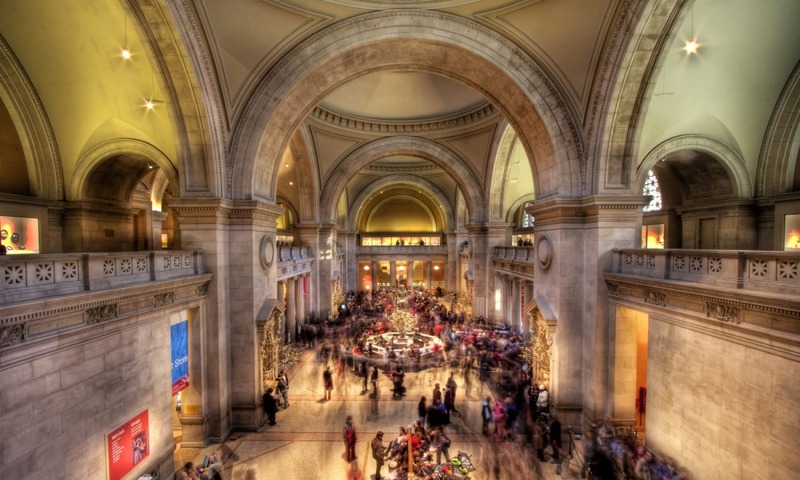 The colossal Metropolitan Museum of Art is the largest art museum in the United States and one of the most famous in the world. It houses works from antiquity and ancient Egypt, representative masterpieces from every major European movement and a sizable collection of American and modern pieces, including such seminal paintings as Thomas Cole’s The Oxbow, one of the definitive icons of American art. Get lost in the mazelike rooms of the Egyptian wing or sample the Spanish Renaissance standing face-to-face with the foreboding colors of El Greco. As if the extensive offerings of the permanent collection weren’t enough, the museum also consistently hosts special exhibitions, running the gamut from fashion designer tributes to collections of historic artifacts. With a range of dining options found throughout the sprawling complex, you may never want to leave. 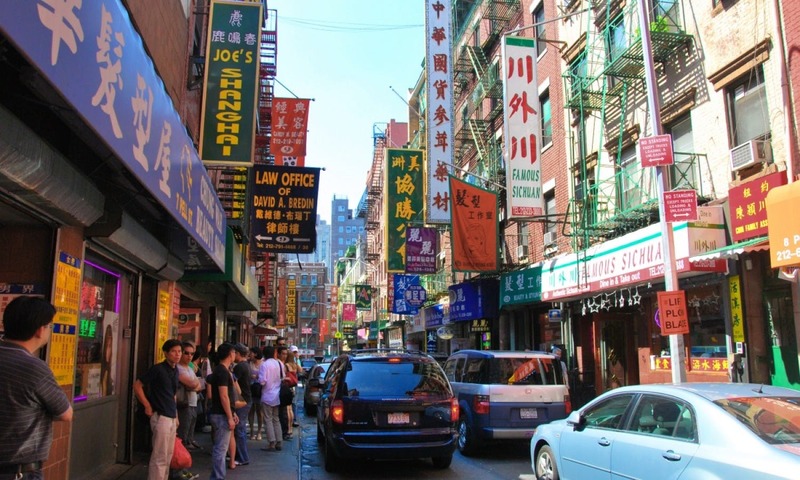 One of New York City’s most distinct and dynamic ethnic neighborhoods, Chinatown is a hotspot for foodies, history buffs and shopaholics alike. The main thoroughfare, Mott Street, is the site where the first wave of Chinese immigrants settled in the late 19th century. Drink jasmine bubble tea at one of the many tea parlors along the busy stretch, or drop into one of the many family-style restaurants to feast on dumplings and duck. South of Canal Street between Mott Street and the Bowery, you can weave your way through the hordes of shoppers and vendors to do some serious bargain-hunting. Expect inexpensive scarves, jewelry, purses and accessories in this area—if you’re more interested in acquiring Chinese-style housewares, check out the shops on Centre Street not far away. Don’t forget to dig through the piles of teapots, Buddha statues and other kitschy trinkets at the Pearl River Mart on Broadway. 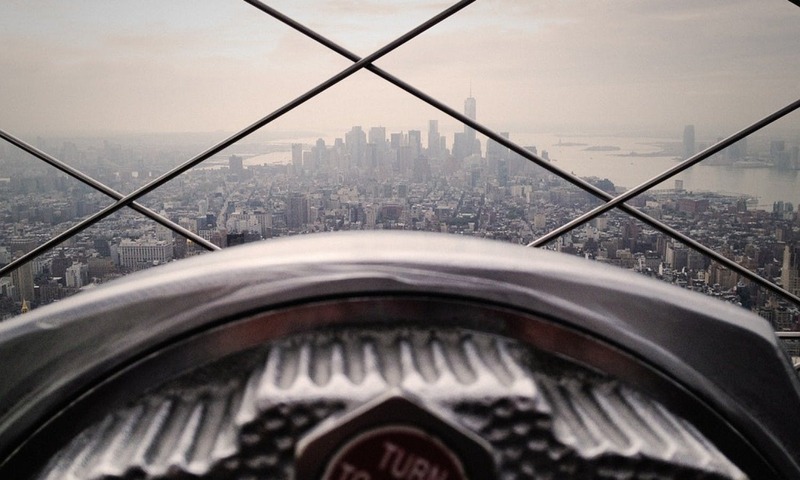 The glowing Empire State Building and observation deck is a top New York landmark. It’s instantly recognizable as a standard setting for climactic scenes in classic romantic movies, but you don’t have to be gazing longingly at a lover to enjoy it. In addition to being structurally impressive—the construction required 60,000 tons of steel and 7 million hours of labor—the limestone and stainless steel wonder boasts the best views of New York. Built in 1931 at the height of skyscraper mania, the building is the tallest in the city. 1,050 feet up in the air, you can stand out on the 86th-floor observation deck or escape the winds in the glass-enclosed observatory. Bring your own binoculars or simply pack a few extra quarters to use the high-powered ones provided on the deck—on the clearest days, you can see as far as 80 miles. Shell out just a little extra to get a stunning view from the peaceful 102nd story observatory, where the chaos and bustle of the city seems light-years away. You can organize visits to each of these sights and neighborhoods on your own. But if you’re looking to save time and see as much as you can—without sacrificing your independence or being bogged down by too-tight itineraries—you might want to consider a Freestyle New York Hop-On, Hop-Off bus tour, with 48- and 72-hour ticketing options. You’ll save money on entrance tickets, included in the price of the tour, and won’t have to worry about navigating the subway system or overpaying for cabs. Once you book one of these tickets, you’ll be able to hop on the bus at any of the city’s loop bus stops, hopping off whenever you want to visit a specific museum, sightsee or shop.